I shot this photo at the London Dungeon while we were in London in May and only really came across it now. 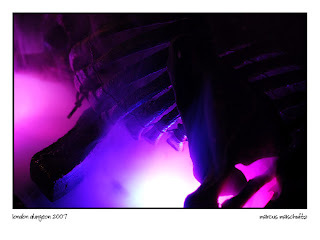 It is of a carcass and I really like the way the smoke is lit up all colourful. Different and cool, I think ….